Your next seatmate may be a … giant plush toy from an iconic toy shop. Just in time for holiday shopping, a 300-square-foot FAO Schwarz pop-up shop has opened in Terminal 4 at John F. Kennedy International Airport. The shop is FAO Schwarz’s first-ever travel retail store and it will only be at the airport through December 31, 2017. The pop-up shop will sell a holiday collection that includes classic items, ranging from oversized plush animals to vintage toys and the infamous floor piano. A good week for fans of airport lounges. 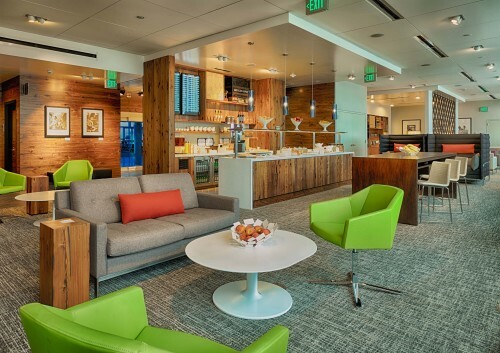 On Tuesday, June 30, American Express opened The Centurion Studio at Seattle-Tacoma International Airport, the sixth lounge the company has opened in airports across the country. (The others are in Miami, Las Vegas, San Francisco, New York’s Laguardia and Dallas/Fort Worth International). You must have certain credit cards to gain entry to SEA’s Centurion Studio and the other lounges in the American Express system, but all screened passengers will be welcome at the outdoor lounge JetBue is opening today up on the roof of Terminal 5 at John F. Kennedy International Airport. Called, appropriately enough, T5 Rooftop, the space is designed by Gensler and is open to all passengers who have cleared security. Promised: views of Manhattan and the adjacent TWA Terminal – and the first airside, post-security, rooftop dog walk. 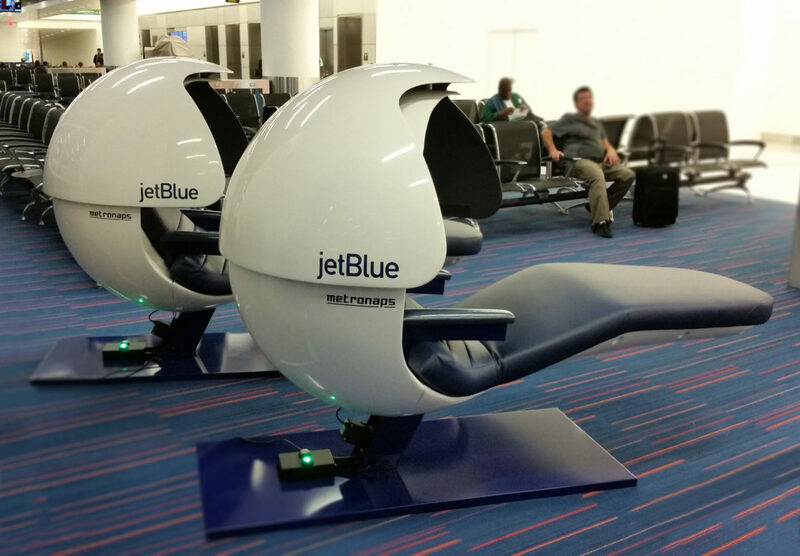 I’ll be venturing out there as soon as it opens today – but in the meantime, here are some snaps shared in advance by JetBlue. Record Store Day – a fun event dating back to 2008 celebrating record store culture and the role independent record stores play in communities – officially takes place this year on Saturday, April 18, 2015, but JetBlue is kicking things off early on Tuesday, April 14 with live music and a pop-up record shop in Terminal 5 at JFK Airport. The live music starts at noon with country-blues-soul singer Elle King at noon, punk pop artist Kevin Devine at 3pm and indie rock band Caveman at 5pm. Earlier in the day, at 9 a.m., the New York City-based record shop Other Music will open a pop-up record shop complete withe turntable listening stations and music for sale. Giveaways and prizes are also promised.